There is no real team-work – or true collaboration for that matter – without the involvement of documents. 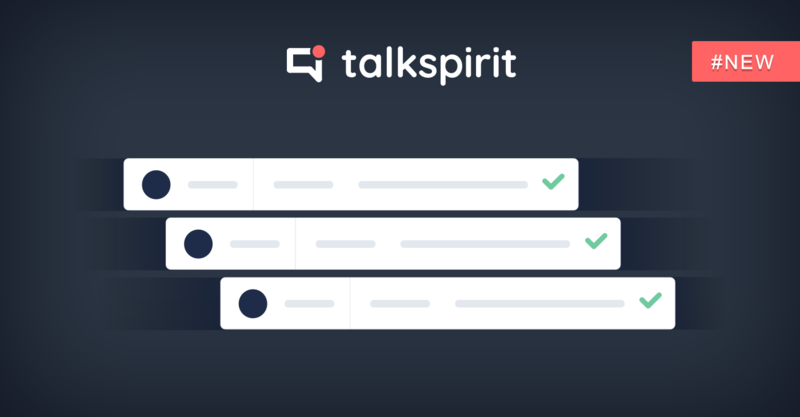 You can now create a collaborative document in takSpirit, allowing you to work actively together with multiple people at the same time. 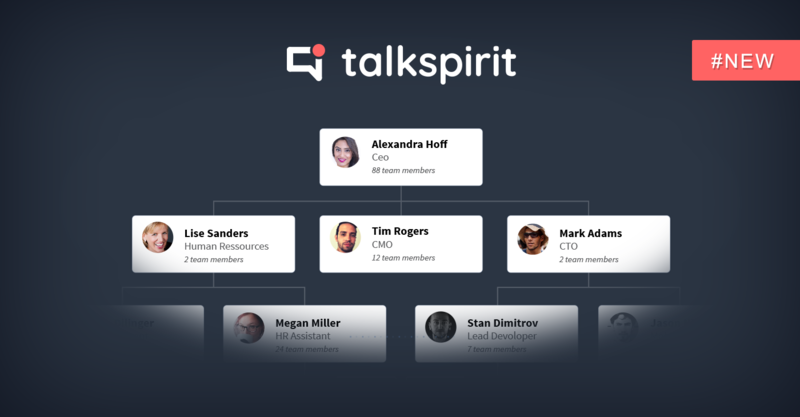 Ever since the very beginning, it has always been our mission to simplify collaboration across teams and organizations. This is why we firstly integrated the main document management services on the market – like Office 365 and Google Drive. 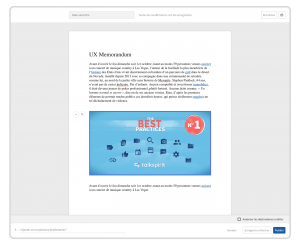 As of today, you now can create and review your very own collaborative documents within a group, or between those you have shared it with. From the publishing area, simply click on the new ‘document icon’ to start writing. 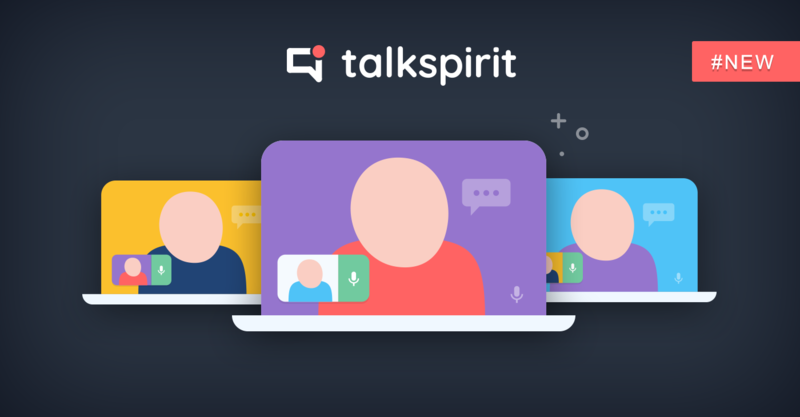 Gone are the days of shared attachments, complex editing trails, the constant reuploading of non-synchronised files; collaborative documents allow you to create synchronized-content in an elegant page to share meetings, reports, notes, articles, brainstorm ideas. You can format your content too, by adding photos or media for example. What’s more, is that all your actions are instantly saved – so no need to worry about them. Finished? 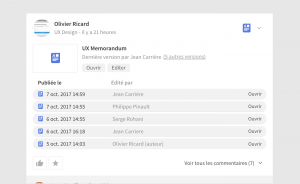 Share your document within a group, or between multiple recipients at once. In case you’re out of inspiration, you can simply save the file as a draft, and get back to it later. 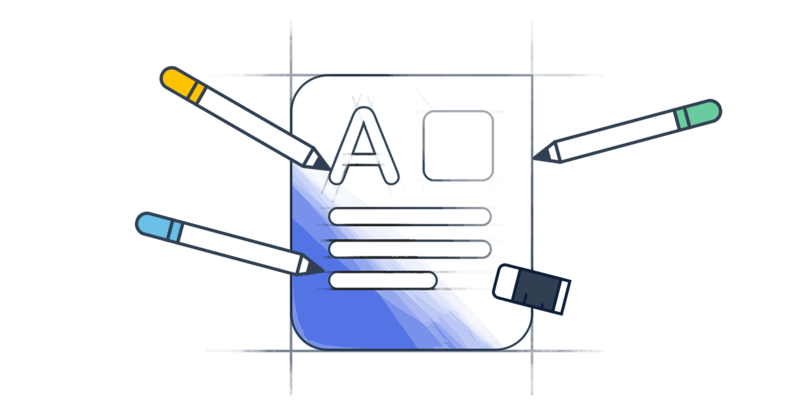 So let’s talk a little about the mechanics: members that have access to the document can edit its content by saving it as a new version. This means there is no need to download files, only to eventually re-upload them as a newer version. To keep things simple and organized, each new version becomes visible on the newsfeed – keeping everyone in the loop. To keep a clean overview, the directory allows you to organize documents by type or theme. Also, to encourage true collaboration, you can start discussions, provide feedback or even share potential ideas with the comment function. As always, you can easily find all your content with just a few keystrokes in the smart search engine. 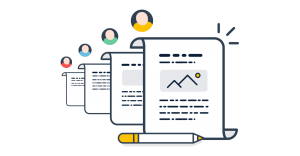 Publications, events, and now documents bring you the building blocks for agile, effective and organized teamwork.